You can’t talk about nice places to eat out in Aberdeen without the Ferryhill House Hotel coming into the conversation at some point. It’s a venerable Granite City institution, nestling nicely in the elegant and pleasant Ferryhill neighbourhood, a place to meet for a drink, a meal or just chill out, whether it’s summer or winter. On the snowy day we visited, it had that comfortable feeling of a community hub, lots of locals in the bar (drawn by the Six Nations) and plenty of families, couples and larger groups through in the restaurant. Our table in the conservatory – a lovely light space – was the perfect spot for people watching inside and looking across the snowy car park to the imposing granite homes across the road. It was just right for lingering and taking your time on a Saturday afternoon with nowhere to particularly go in a hurry. 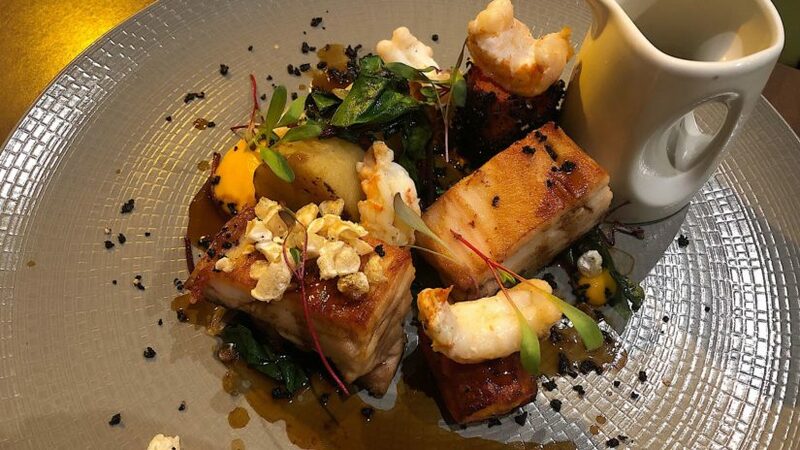 Always popular, what made Ferryhill House Hotel even more attractive for us was its Aberdeen Restaurant Week menu, offering three courses for £20. This tasty offering is like a “greatest hits” from the hotel’s kitchen, catering for all tastes. 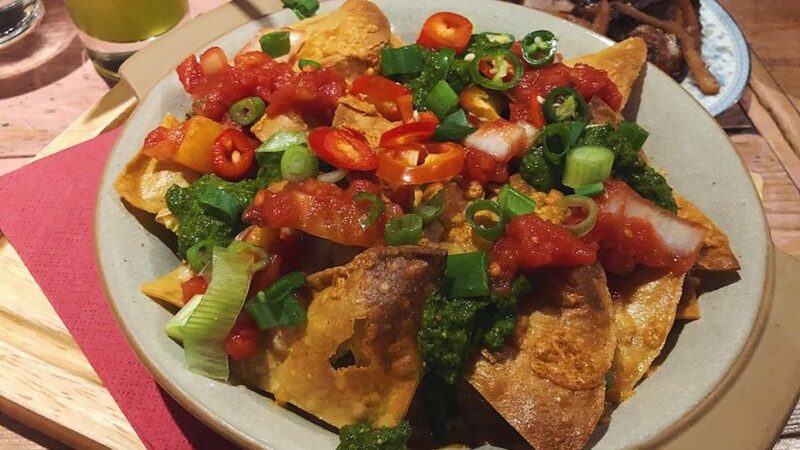 Starters range from soup to nachos, mains take in chicken alfredo and steak and Guinness pie, while desserts tick the box with the likes of ice cream, sorbets and sticky toffee pudding. Given the winter weather outside we were looking for both comfort food and something a wee bit out of the ordinary. That was on there too. For starters, my wife and I decided to mix-and-match and do “sharesies”. So the haggis bon bons were a natural choice, as were the spiced falafels. The bon bons were exactly what we needed to beat the winter blues. Three golden nuggets arrived, crispy on the outside but inside packed with a superior take on our national dish, they were meaty with the right pepperiness that haggis demands. With a whisky and chive sauce for dipping these were a great set-up for the meal. So, too, were the falafels, soft chickpea patties that were packed with flavour. They came with a side of garlicky hummus, plus cucumber, tomato and pickled onion. 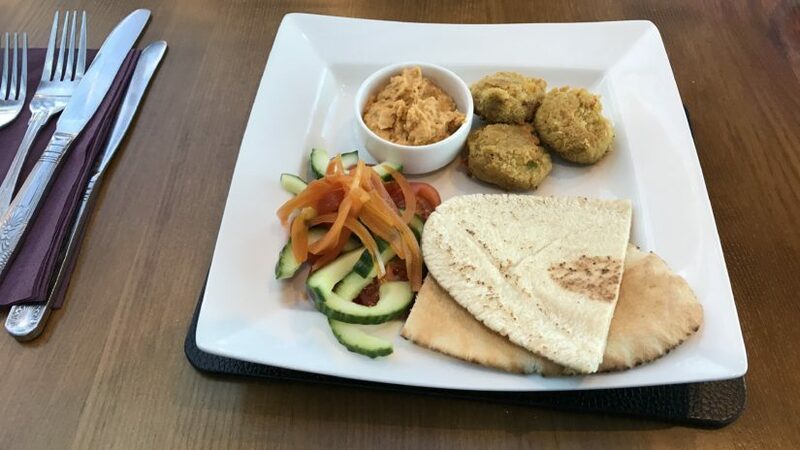 With the addition of pitta bread, we found the most satisfying way to eat these, was to pack them into a bread pocket, munch away and let the flavours combine together to create a hearty and tasty starter. Now, the perfect antidote to a chilly afternoon is a big bowl of mac and cheese. And fries. Which was my wife’s immediate choice when she saw it on the menu. The topping was crisp and golden, breaking through to a perfect balance of pasta and cheesey, sticky sauce. 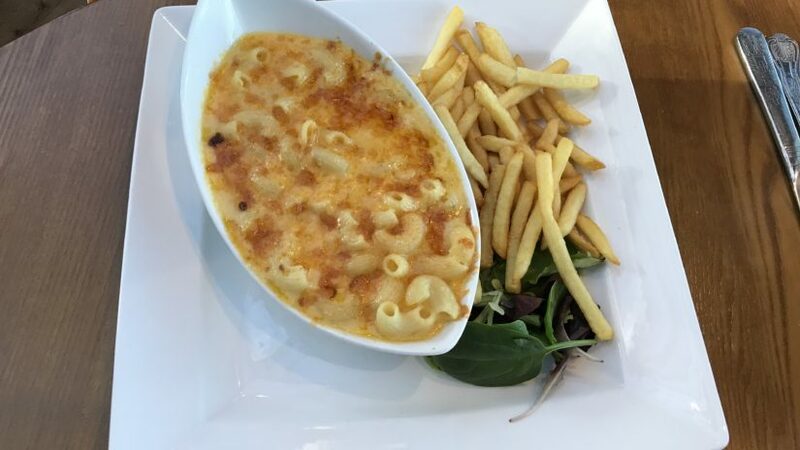 Macaroni cheese is one of those dishes everyone thinks they can do, but few can do it just right. The Ferryhill House Hotel is one of the few. Meanwhile, I took that exotic route we were looking for with the chicken katsu curry. 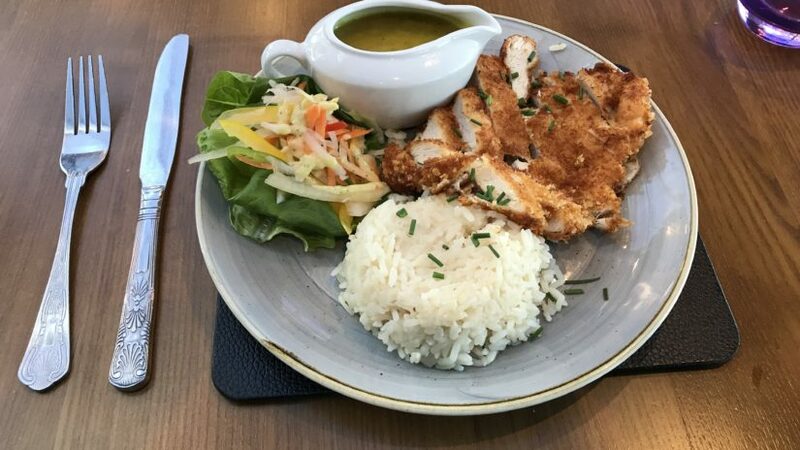 It was a busy plate, with a panko-breaded chicken breast, alongside a mound of fluffy rice, a salad with some zingy notes through it and sauce bowl brimming with curry sauce. I appreciated the choice of how much or little curry sauce I wanted to add to the proceedings. The chicken was just right, the crumb giving crunch, the breast tender and moist. The curry sauce was mild and on the fruity side, bringing all the elements together nicely. Oh, and filling. Very filling. Not so filling as to stop us having a go at the desserts. 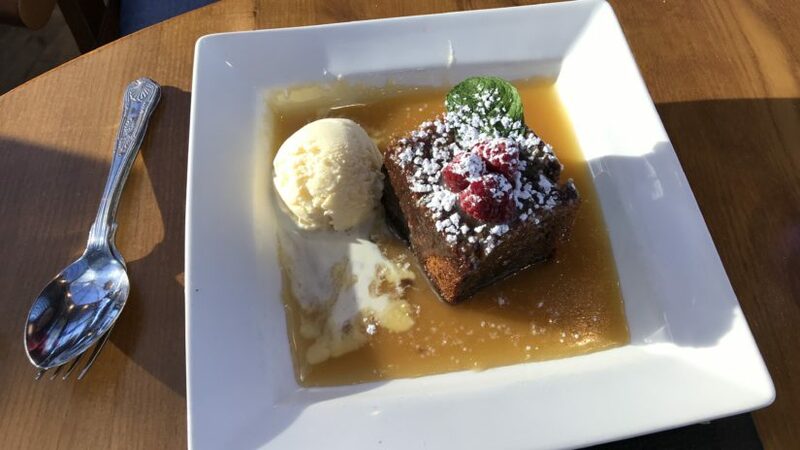 I mean, who’s going to turn down sticky toffee pudding and chocolate brownie. Both were absolutely lush, the pudding a particularly hot sweet treat, tempered with a dod of vanilla ice cream. 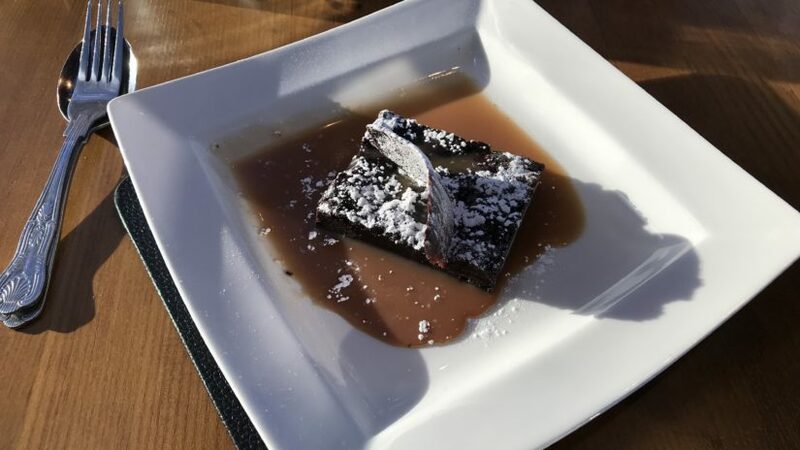 The brownie had the density of a black hole and was a chocolate-lovers paradise. The cream it came with stopped it being too stick-to-the-top-of-your mouth. I’d like to say we polished the lot off, but we were too full to make it completely to the end. Ferryhill House Hotel is an institution for a reason. It’s good. It has a lovely, homely atmosphere, friendly staff and fine food. Now, with its Aberdeen Restaurant Week menu, it’s even more tempting. Check it out. Aberdeen restaurants are raising a glass to success after completing the third instalment of Aberdeen Restaurant Week. 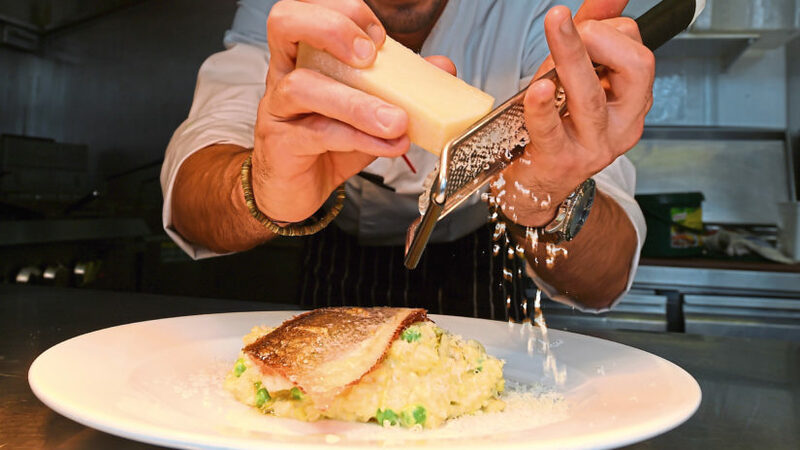 If you're looking for somewhere to dine this Aberdeen Restaurant Week, then never fear, our guide to eating out during the week will keep you right. One of my first experiences of 99 Bar and Kitchen consisted of flames, icing sugar and lots of rum - but that's a whole different story.